Almost 25-years ago first franchise stores began pouring into the Russian market. A lot has changed since, with Russia becoming one of the fastest growing markets in the world of franchise business. 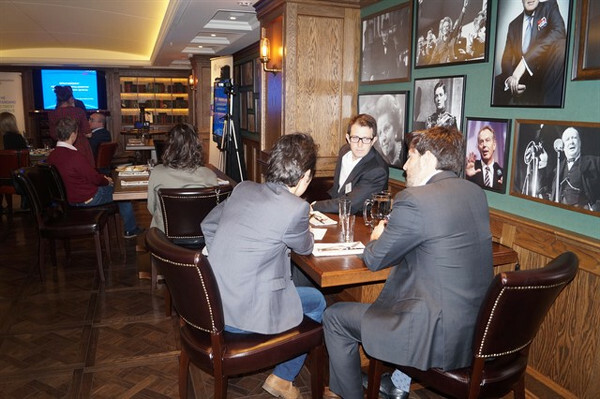 CFA Association Russia held a business breakfast on October 11 at Greene King Pub & Kitchen. 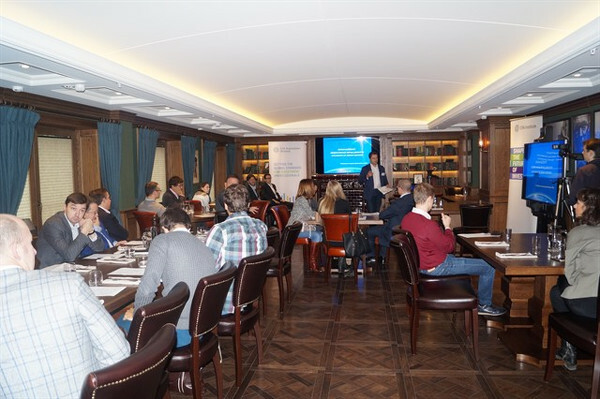 Thanks to two presentations, made by Yuri Mikhailichenko, Patrick and Jack Findaro, guests had a great opportunity to learn about modern trends in franchise development. Yuri Mikhailichenko, the executive vice president of Russian Franchise Association (RAF), kickstarted the event by telling the brief history of franchise business in Russia. Yuri continued by warning listeners about “fake” franchises and told how to avoid falling victim to frauders. When buying a franchise, Yuri emphasized prospective entrepreneurs must follow several important steps, making sure a franchise has a set of proper documents, training procedures, a brand book and an officially registered trademark. 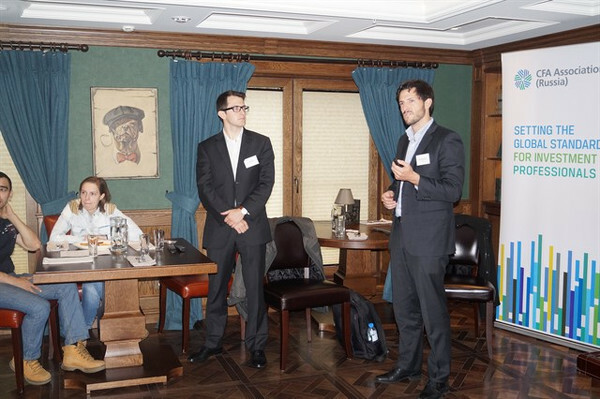 During their presentation, Patrick and Jack Findaro of Visa Franchise LLC spoke about the benefits of franchising. Despite having a few drawbacks that come with franchising, Jack said many businesses are choosing the franchise model due to many benefits that come with it. The key benefits for entrepreneurs are a franchisor’s recognized brand, established business model, a proven track record, and a high success rate. Patrick continued the presentation focusing on the process of becoming a franchisee. The elder Findaro mentioned everything from an initial inquiry to the approval of a franchising license. The second presentation also touched upon franchise related investments and how they can help minimize risks when investing overseas. The speakers from the United States wrapped up their talk by highlighting opportunities and challenges for franchisors that come with an international expansion. A lot has changed, with Russia becoming one of the fastest growing markets in the world of franchise business.